You’ve served your country proudly and now it’s time to move on professionally. More than anything, you want your transition from boots to suits to be a smooth one. You want to land a good job that pays well. 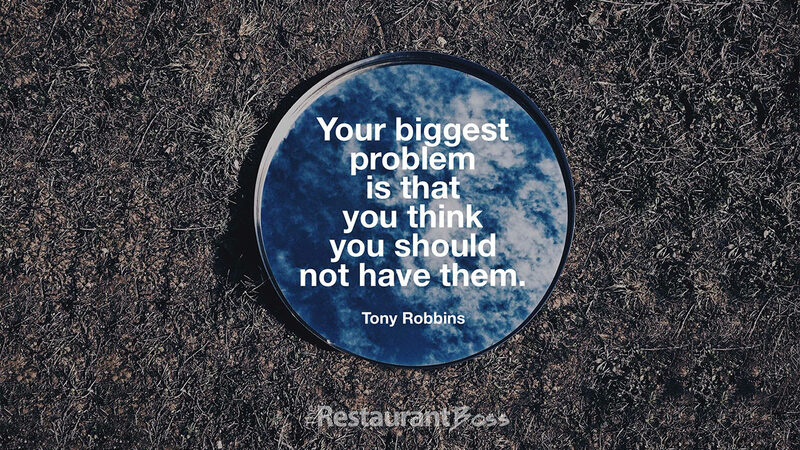 The only thing standing in your way? Your so-called resume. Explaining to would-be employers what you did in the military in a way that makes sense to them can be difficult. Often, skills, experiences and accomplishments get lost in translation or in the lack thereof. This is where the Military Skills Translator comes in, and you must decide what needs to be translated and what doesn’t. That is the question to answer before you start drafting your resume. Will you be sending it to someone within the defense industry? Or will you be targeting employers outside of it? If the answer is yes to the former, then you may not need to spend a great deal of time translating your job titles, descriptions, awards and training into English. Those within the defense industry usually understand what you are communicating, but not always. Keep in mind that there are a lot of people who work in the industry who have never worn a uniform and may not fully understand what you’ve accomplished. If you are targeting a job outside of the defense world, then you most certainly need to translate your skills, experiences and accomplishments into the English Language. It can be challenging, but not impossible. “You have to be patient because there is no such thing as a perfect resume,” said Philip Lapple, a former M1 Main Battletank Crewmember (19K-Armour Crewman) in the U.S. Army. Lapple wants to switch career gears completely and get a job in business. To reach that goal, he is currently attending the University of Maryland, University College and working on a degree in Management Studies. “I really don’t think I will get a good job until I finish my degree but I’m trying,” said Lapple. In the meantime, he is working on creating a basic master resume that he can tailor to individual job opportunities as they arise. “On my resume, I try to show that I am a well-rounded package of education and expertise,” said Lapple adding that it continues to be a work in progress. Lapple has attended the Army Career and Alumni Program (ACAP) courses and has also used the services of the local Army Community Service Center’s Employment Readiness Program. “You’re not going to get it right the first time or the second time you write it,” said Lapple who finds himself revising his resume each time someone else critiques it for him. Lapple understands that he needs to translate specific words in order to make his resume work. Rather than say he was a tank crewmember, he says that he was a heavy equipment operator. To highlight his skills without over emphasizing equipment operation, he puts strong emphasis on leadership. “My latest version shows words like mentoring, efficiency, and work load planning. I also use the word “team” instead of platoon or squad,” said Lapple. “I am also physically counting and adding up the dollar value of items that I was in charge of in the military and noting the number of people or employees I supervised,” said Lapple. “Right now, school is my priority. In my case, I feel like my resume has to show not only practical experience but a degree as well,” said Lapple. “I have a resume but it’s horrible. I want to make it better in order to be competitive,” said Gary Heinstrom, a U.S. Army Specialist who currently serves as a medic with the 554th Military Police Company based in Germany. Heinstrom is knee deep in the process of transitioning out of the military. He is considering staying in his career field, but he wouldn’t rule out getting his foot in the door to federal employment in any field either. “I just started the process of getting out and there is so much information coming at me at one time. It’s overwhelming but it seems necessary at the same time,” said Heinstrom. If Heinstrom does indeed try to stay in the medical field, he may find that the level of translation needed for his resume differs from those needed by Lapple. In some military career fields, such as those in the medical field, there may not be as strong a need to translate some of the skills, abilities and experiences for the civilian counterpart. In or out of uniform, patient care, record-keeping and specific medical procedures and protocol are universally understood with the career field. “Instead of saying that I was a medic, I am writing that I was a health care specialist. I am also a certified Emergency Medical Technician (EMT), and that is the same in or out of the military,” said Heinstrom. Heinstrom says that he is also making it a point to quantify his accomplishments and avoid the use of personal pronouns. Translating the military words on your resume into civilian ones can be challenging. You don’t have to do it alone, though. Visit your transition assistance office or the family services and support center’s employment readiness program. On either doorstep, you’ll find expert one-on-one counseling assistance or available classes, free of charge. You can also get ideas on how to effectively translate your military experiences by looking at the civilian job descriptions or vacancy announcements for the jobs that interest you. 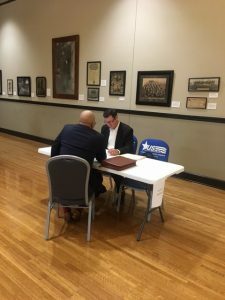 Ready to polish your resume, and connect with employers looking to hire veterans? Join our Job Board today! The VA has compiled their top tips to help veterans seeking employment. These tips will help veterans identify areas where they can improve and how to navigate the job-seeking process. Ask family members, friends, and other veterans to put you in touch with the decision-makers at the places you would like to work. Contact those people and ask for an informational interview. Unlike job interviews, informational interviews let you talk with potential employers about your strengths and experiences. Even if they are not hiring, the people you connect with may be able to refer you to others who are — and they themselves may keep you in mind for future openings. Your skills and certifications are important, but civilian employers also want to know about your broader experience and understand how you applied your skills. Use your cover letter, résumé, and networking conversations to emphasize situations in which you took initiative, demonstrated flexibility, exhibited leadership abilities, and performed for the good of the team. Most of your military training can be applied to your post-military career. However, most states and the federal government require their own licenses and certifications for jobs including flying planes, treating patients, and operating certain machinery. Find out whether you need to take an exam or a recertification course to make use of your military credentials. From your time in the military, you may already be familiar with PACE planning — the primary, alternate, contingency, and emergency plan for each undertaking. As you begin your search for civilian employment, recognize that your top job choices may not work out. Identify your top job picks, positions you can live with, and positions that you’d rather not take, and apply to all of them. As long as the work won’t aggravate any health concerns, don’t hesitate to take a less desirable position to pay the bills while you look for something else. The federal government gives preference to job-seeking veterans over many other applicants. Not all military service qualifies someone to receive veterans’ preference, and so it is important to understand the specific requirements. For more information about veterans’ preference visit the U.S. Office of Personnel Management’s VetGuide. Employers want to know whether your personality will fit in well with their other employees’ personalities. Put your best foot forward at job interviews by keeping your stress levels down. Get plenty of exercise, rest, and engage in normal social activities. If you start to feel anxious about your job search or any other matter, contact your VocRehab Counselor for support. Every Veteran knows the value of his or her DD214 (Report of Separation) or DD2586 (Verification of Military Experience and Training) for VA-related purposes, but these documents are also important as you prepare to enter the civilian workforce or go back to school. Make sure you have copies of your DD214 and DD2586 to show your employer or school so that it can verify your military service, training, and experience. It may also be helpful to provide transcripts of any military training and coursework you completed. The cultures of the civilian workforce and the military are different. Know in advance that you may feel disoriented for the first few weeks in the civilian workforce, and take your time in getting used to the new work culture. Career advancement in the military is linear and highly structured: You move up the ladder one step at a time. In comparison, civilian career development is less regimented. Take control of your career development: If you want to learn new skills, identify a course at your local college, university, or other institution of learning and discuss it with your supervisor. Think about how horizontal career moves will help you broaden your skills. And don’t be afraid to talk about your career development goals with your supervisor. VocRehab helps veterans and servicemembers navigate the transition from military to civilian employment. VocRehab offers counseling, training, education, and other services to help prepare you for your next mission. 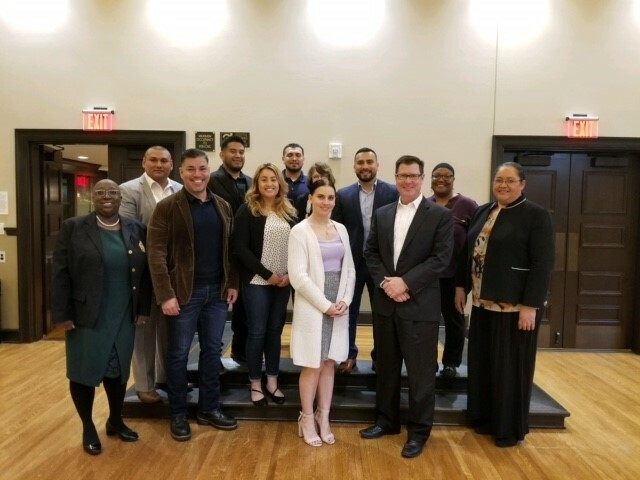 ACP’s free Mentoring Program connects post-9/11 veterans (Protégés) with corporate professionals (Mentors) for customized mentorships. ACP assists veterans on their path towards fulfilling, long-term careers, whether the veteran is job searching or newly employed. An ACP mentorship is a yearlong commitment. ACP encourages Mentors and Protégés to connect for monthly discussions to advance the veteran’s goals. Each mentorship is supported by an ACP staff member who offers customized resources, training and suggestions and to help the pair build a successful mentorship. ACP’s staff personally pairs every applicant, hand-picking a Mentor for each Protégé based on career compatibility, experience level, location and personal interests. Every Mentor and Protégé has a phone call with an ACP staff member to communicate preferences, which are then taken into account during the pairing process. Most mentoring pairs are long-distance and communicate primarily through phone, videoconference and email exchanges. The unemployment rate for veterans is the lowest it has ever been since September 2001, and it continuing to fall. This achievement is due in part to the employers who have made a commitment to hire those who have served in our armed forces. 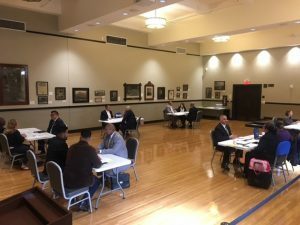 In advance of Veterans Day, job site Monster worked with a panel of veteran hiring experts and Military.com to gather a list of the 10 best companies for veterans. All of the companies in the top 10 employed at least 15 percent veterans. Evan Guzman, founder of The MiLBRAND Project, which helps companies attract and retain veteran hires, says the reason that companies love to hire veterans is because of the values that military service instills in them. How they support veteran employees: Boeing’s veteran hire retention rate in 2016 was 92 percent and the Boeing Military & Veteran Engagement Team (BMVET) integrates Boeing’s efforts within the military and veterans communities. Boeing is a frequent sponsor of Veterans in Aerospace Symposium and the Veterans Transition Initiative. 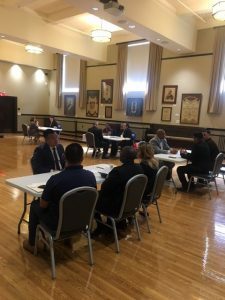 How they support veteran employees: Union Pacific hosts regional Military Leadership Hiring programs to place vets in management positions and sponsors UPVETS, which provides support, networking and mentorships to veteran employees. The company has a 61 percent veteran retention rate. How they support veteran employees: BAE aims to hire 100 veterans a month in 2018, with an emphasis on female veteran hiring. Their Warrior Integration Program focuses on integrating combat-wounded veterans into the workforce through on-boarding, mentoring, and career development. The CEO of BAE Systems recognizes 5,000 veteran employees a year for their accomplishments and contributions to the company. How they support veteran employees: In 2018, USAA aims for 30 percent of all hires to be veterans or military spouses. USAA offers a 12-month VetsLeaD (Veteran Transition Leadership Development) program which offers classroom training and executive mentorships. How they support veteran employees: Schneider was ranked the best company for veterans in 2016. Over a quarter of all Schneider employees are veterans, in part because the company accepts driving certifications through the Military Skills Test Waiver. How they support veteran employees: Booz Allen Hamilton runs the Veteran Recruiting Center of Excellence (VRCE) with a specific talent acquisition team geared wholly to recruiting and retaining veterans. Programs like these are why 49 of the company’s leaders are veterans. How they support veteran employees: Lockheed Martin employs a full-time military relations and recruiting team that attends over 170 military recruiting events a year. The company also hosts an annual Military/Veterans Leadership forum to explore solutions for better supporting veterans in the workplace. How they support veteran employees: CBP makes strategic use of Special Hiring Authorities for Veterans, which allow CBP to circumvent the typical job-application process by directly appointing qualified veterans into positions within the workforce. How they support veteran employees: Intelligent Waves offers an Employee Assistance Program that provides counseling and referral services to their veterans, whether they are in need of personal, health or wellness assistance. A broad range of industries are represented in Monster’s list. “This year’s list shows an increased acknowledgment from industry that veteran’s experiences and skills reach well beyond traditional industries of defense and aerospace and into transportation logistics, technology and financial services,” says Jodi Hon, SVP and GM of enterprise business for Monster. Terry Howell, senior director at Military.com, says that efforts from both for-profit companies and non-profit organizations have been crucial for the improvements that veterans have seen across sectors. I was watching “Chefs Table” this weekend, and a now-famous pastry chef was being interviewed about how he found his first job at a renowned restaurant. He said that he was living in Italy, and he called the restaurant and asked for work. The restaurant said, “sure, when do you want to start?” and that was how he landed his first job. I stared at the screen, and laughed out loud. This business did not see his resume, did not know anything about who he was, they weren’t even aware of his relevant experience! Granted, this took place the early 2000’s, before the internet exploded onto the scene and changed the way we search and apply for employment. Wouldn’t is be great if it were that easy now? Applying to jobs today can be…frustrating. In the past, you would look for a help wanted sign, walk into a building, and speak to the manager or owner there. Or, you would call around until someone said they had a vacancy. Now, we have the internet. The internet has allowed us access to thousands of job opportunities we never would have known existed, which is wonderful. However, the internet has also allowed thousands of job seekers to apply to for jobs, and that has made the market extremely competitive for the job seeker. It is a gift and a curse. Part of my role as a career strategist for my clients is to assist them in the daunting task of job applications. As one applicant in a sea of thousands, they often feel overwhelmed by the prospect of applying for jobs through job boards. To add to the stress of applying, I also have to explain to them how imperative it is to tailor their resume to every individual application; to make it unique and to show the employer how valuable they are. As a job seeker, this is an impossible ask. Not only do they have to spend hours tailoring applications and writing cover letters for jobs, they usually never hear back from them. How can we expect them to put in this much effort? So, as a way to alleviate some of stress in this arduous process and to empower my clients to make the most of their time and energy, I have employed the help of some nifty technology that can be found – you guessed it – on the internet. If you can’t beat them, join them! Battle technology with technology, use these tools to work smarter, not harder. And soon enough, you’ll feel like an expert in the game of online application. What It Does: VMock: Smart Career Platform is an online tool that provides assessments of your application content. This can be a scan of your resume, cover letter, or even a presentation you are using in an interview. The tool “scans” your resume, and provides a score from 1-100 on a bell curve, on your resumes “strength”. The tool scores your resume using 3 core modules across 100+ parameters, and outlines in detail the strong and weak aspects of every bullet of your resume. It also provides recommendations on who to improve your score in the weak areas of your resume, one by one. Why I Like it: VMock made the list because of the multi-dimensional aspects of this tool. Not only does it score your resume, but it gives you algorithmic feedback on specific areas. This tool gives you an overview on your resume, and is not specific to an employer or industry too. The online tool provides feedback in other areas as well, such as “Career Fit”, which give you career advise based on the content of your resume. VMock is equally useful to students and recent grads and seasoned professionals. What It Does: One of the most frustrating things about applying online is the Applicant Tracking Systems (ATS’s). They determine your fit for a position based on keyword matching. You could be a good fit for a position, but if you do not match the keywords correctly, you get pushed out of the applicant pool. JobScan uses ATS technology to “scan” the resume you used for an application along with the position description, and score you out of 100 on how well it matches the position. It does not recommend you submit an application with a score less than 80. The tool provides a detailed “match report” which outlines areas that you fit the position (marked with a green check) and areas where you can improve (marked with a red x). You can add the keywords you missed, incorporate the tips it provides, and re-scan until you achieve that 80% or higher match. Why I Like it: This tool is great for two reasons. For one, it helps you outsmart those pesky ATS’s and get called in for interview 3X more than if you tried tailoring your resume on your own. Two, it gives you an idea of how ATS’s work, and teaches you the things to look out for in your applications. I like JobScan because it has a “teach a man to fish” mentality. You can pay for premium and scan every application you use, but I have shown this to clients who have used it a few times for free (you receive 5 free scans a month) and then gone on to become master keyword matchers on their own. However, you choose to utilize this tool, you understand the game much better for it. What It Does: Most job seekers are familiar with Glassdoor. It is the free online “yelp” of companies and positons, basically. Most people utilize Glassdoor to look up salaries of positions. But, there is much more to this online tool. Yes, you can research salaries on Glassdoor, and filter them by location, which is very advantageous if you’re about to negotiate salary with a potential employer. In addition to this, however, this tool provides in-depth reviews of a company, from benefits to perks, to work life balance and more. The information can never be edited or deleted, too, so you know you’re receiving somewhat genuine intel. You can also look an interviews – yes interviews! You can see what types of questions the applicants were asked, and whether or not they were hired. Why I Like it: Glassdoor keeps it real for job applicants. If you’re about to interview with a company and want to do real research, this tool is a great start. It provides you with the good, the bad and the ugly of what a company or organization has to offer, and you can go into the interview armed with the right questions about how they treat employees, how often the promote, how great the culture is, and more. A note: I would keep in mind that despite the “no edit and no delete” feature, this information must be taken with a grain of salt. Most people will only review something if they have a wonderful experience, or a terrible one. So, the reviews may be extreme and the personal accounts from past or current employees may air on the negative side. Keeping that in mind, however, the information is more useful than not. What it Does: Do you ever feel overwhelmed by all of the things you’re using and documents you’re saving in the job search process? You have documents saved here, an excel spreadsheet tracker there, jobs saved on various job boards like LinkedIn, ZipRecruiter, and Indeed. You can lose information pretty easily, and its annoying to have to remember where everything is. JobHero allows you to store all of that precious information in one place. This tool allows you to save your job applications across web platforms and track your progress. You can also set reminders for yourself for follow-ups and deadlines for applications and assignments. You can also upload documents to the tool, like the resume you used to apply or specific things you were tasked with submitting to specific opportunities. Why I Like it: JobHero is an organizers dream. You don’t have to continually create systems to track things, because you can link everything to this one tool. You can filter things by date created, due dates and status of applications. JobHero Sidekick syncs your applications from all of your job boards to one dashboard. You can also search jobs and receive career advice on this tool, there are articles on salary negotiation, interviewing and more. If you enjoy streamlining your life, this tool helps you do it. What it Does: In addition to applying for jobs and tracking them, preparing for what happens when you finally get the call you have been hoping for is another source of anxiety. Soft skills are something I have seen as the biggest area of need for my clients. People simply do not practice their interview techniques, and it is killing their chances of landing a job! Practice really does make perfect. My interview practice is an online interview simulator that aids you in practicing your answers tot hose pesky behavior-based questions, as well as the more basic “strengths and weaknesses” ones. It provides interviews across various industries and positions, and provides you with a professional review of your answers. Why I Like it: I think it is always important to practice your job interview techniques. New questions are being proposed by Human Resource professionals all the time, and it is important to stay up to date. Like a muscle you must exercise, you need to keep your interview performance in shape. This tool not only helps you keep yourself well-versed, it allows you to practice with different interviewers, across industries and professions. You can also share your interview with a coach or a peer for their feedback. The question bank is updated constantly, to stay competitive with what the job market is demanding. If you’re applying for jobs, you should be practicing your interview techniques, too. Those are my top favorite online tools at the moment. Keep in mind, there are hundreds of online tools, and these are just the ones I have used. You can research your won tools to find what works best for you – and share them with your peers on LinkedIn! The job search journey can be difficult sometimes, but if you apply the “work smarter, not harder” methodology, you’ll see a change in the way you apply and the way that employers respond to you in the job market. Keep up the great work! Often, I hear veterans say that they become discouraged in the job hunt. So much so that they believe that this an actual reflection of who they are. It is important to never take the job search personally. Sure we could all learn more skills, have more training, have more degrees, but who you are is not the problem. Here are a few ways to remain positive and getting effective results in the job search process. Sometimes we all need a little help. 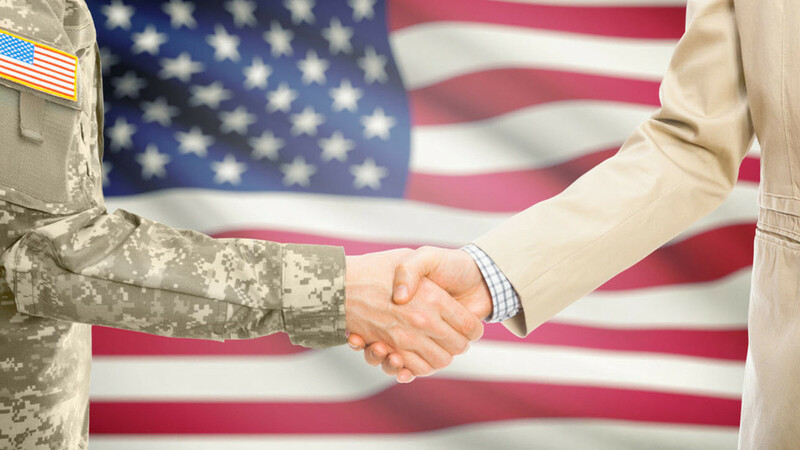 Non-profit organizations like U.S.VETS are here to aid you in building your resume, bridging the gap with certifications, and connecting you to employers from the inside. But most all of it is helpful to have a point person to go to bounce ideas off of and to ask questions of. As you may have noticed in life we have to go out and get the opportunities, they don’t just come to us from inside our houses. By plugging into an organization it can also allow you have access to events that will allow you to connect with employers directly and explore your options. You may not know this but employers are looking for you! Ok, maybe not you specifically… but your set of skills. 🙂 So widen your net and get connected into the community. Did you know you can reach out to employers and ask them questions? Some people are even willing to sit down with you and discuss what it is that you do. This is a great option if you aren’t completely sold on what you want to do and want to learn more or even just want to get your foot in the door. Talking to someone in the inside will give you a lot more ideas of how to work there. (The employees that work at a business usually have the inside scoop.) They may be able to even tell you the ‘what not to do’ things as well that they wish they had done. Either way, always make sure to follow-up and thank them, and also connect with them on LinkedIn if you hadn’t already. Lastly make sure you reach out again to let them know you are still looking and if they have anything that would be a good fit. People are more likely to help people they have met, not just a name through a computer. Remember, who you are is not the problem. You just need to get out there and catch one of the million possibilities right in front of you. You can do this through getting help with a non-profit or even going directly to the companies themselves to ask questions. The key is to be consistent and be bold while improving your skills. We are here for you! Articulate WHY You Are Interested in the Position: While employers do want to hear what you can bring to the table to add value to their company, they also want to hear why you are interested in working for them! Figure out why you are attracted to a position and speak to it on your interview. This well hopefully resonate with the hiring manager and set you apart from other candidates. Conduct Research on the Company and the Person You Are Interviewing With: In order to maximize your interview time and impress the hiring manager DO YOUR HOMEWORK! You can do this by researching important statistic and milestones within the company you are interviewing for. If you are fortunate enough to know who you are interviewing with, take a little time to conduct background research on them as well by looking up their LinkedIn profile and biography on the company website. This can ultimately help you potentially connect with your interviewer and obtain the position. Demonstrate your value: Pitch ideas or suggestions you have specific to initiatives or goals within the company. This will allow the hiring manager to draw a direct correlation about how your work fits into the bigger vision of the company. Show Your Work: Provide a portfolio of previous projects you have completed with companies to demonstrate the work you have produced in the past. This includes but is not limited to: drawings, photos, diagrams, contracts, newsletters, and flyers. Showing visual representation of your work helps hiring managers draw a direct correlation of how you can apply your skill set to the position you are interviewing for. 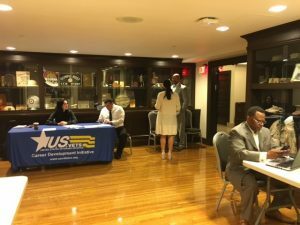 The U.S.VETS hiring event was a hit! 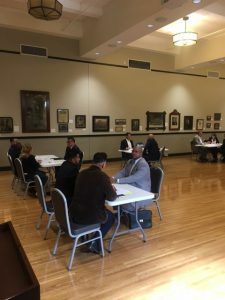 25 veterans were given the opportunity to interview for positions with U.S.VETS Inglewood, U.S.VETS Inland Empire, JVS, & Volunteers of America. 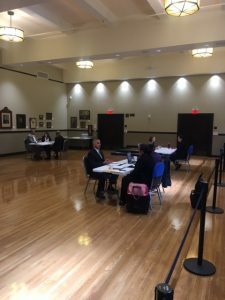 Some veterans were even hired on the spot, during the interview. Since the event was such a success we hope to do another U.S.VETS Hiring Event soon!